Money in the Garage: There goes my lamp....to California? beckyp-You would think so, but given eBay refund policy now-anything goes.....Dude! Hey Dude! Thanks for the heads up. I did sell something to what I thought was one of these companies. I have heard rumors of this before. I can't remember what I sold, but I guess I didn't have any problems or I would remember. Do you think it would be safe to sell an item that isn't fragile to these types of companies or do you think it is best to cancel any orders by these guys? Since you researched it I would be interested in your opinion! Thanks for a great blog! Hey Andrea- A "soft" item like clothes would be a lot safer going overseas, so you should be ok. But I really don't trust those guys 100 percent. Plus it's the principal of the thing-they are holding the original seller responsible for a secondary shipment. A shipment that the seller had nothing to do with-it's unfair. Basically once I get the package to California intact, my obligation should be over. Only in the crazy world of eBay am I on the hook for it's second journey! That's why I canceled their order, I'd rather sell it stateside or on Craigslist then take a chance and be forced to make a refund for something that was not my fault. Us sellers take enough abuse! Thanks for enjoying the blog....Dude! Hmm. I've sold stuff to these people multiple times before, and I haven't had any problems, but they were collectible (and unbreakable) Xmas ornaments (elfish vintage things) and Plush toys. But I sell and ship things Internationally, so...why would anyone use these reshippers? I guess I always thought they were bought to be sold on the equivalent 'eBay' store online over in Asia, or something like that. It might be worth it to bring up to eBay customer service one day...but how could we ever 'prove' that they were shipped again--and why should we as sellers be responsible for that?? As always, it seems unfair to us resellers! Deeda-I hear ya. I think if these re-shippers were upfront with us sellers, I'd be less concerned-but they're not. The problem is sellers really can't prove to eBAy that our item broke on the re-ship. Plus, the re-shipper don't inspect the item upon arrival-they don't want to know if it's intact. I think in legal world they call that "guilty knowledge". I had a sale to them and everything went fine. I was worried after reading about them, but it went fine. But it wasn't a breakable item, so maybe that makes a difference? Gee, I thought I was the only one won't ship int'l. I've had these buyers before and they were no problem except for all those instructions they give you. Regardless of the 14 day return policy, I think a buyer has up to 45 days to make a claim. Or is it 60? Anyway, I don't bank on anything until #1 They leave pos FB or #2 it drops off the "awaiting feedback" list. Miss Clamco- I've had more problems going international, I mentioned previously that a guy tried to scam me out of my son's Ipad, but I fought off his complaints successfully. Yep, its 45 days from the time the seller paid which is like forever, right? I sold something to them once or twice before and had no problems. I had NO idea though that they could still file a claim due to *their* shipping. That's just crazy!! Is this allowance limited to them or is it open for anyone to do this? Jennifer-With eBay's pro-buyer policies, if the buyer wants the refund, eBay is pretty much going to give it to them. The timeline is 45 days starting from the time the buyer paid, or six weeks. I'm another one that doesn't sell internationally. I've heard of these flight people before but haven't dealt with them. I have sold several items to others - with non 'flight' ebay ids - that are buyers for people in Japan. They always very politely request that the transaction # be written on the pkg label and the shipping addy is in CA. Don't let the 'flight' people scare you away from all of them. The other ones are very nice to work with! Thanks GreenJeans for the above names. Makes you wonder why they need so many different eBay Ids? If thy are all the same shipper are the trying to hide something?! These are all three-letter airport codes so my guess is they use an id based on the outgoing airport they use for a particular order. Lisa C- Makes sense, thanks for writing in....Dude! Thank you for the heads up. As an eBay newbie I was not aware of this situation. What will you do with the game that is no longer available? Do you have a good way of selling it at a decent price? In the past week I received two different eBay messages asking for my e-mail address so that the messager can send me a photo of what they want to make sure that my item matches their desire. In both cases the buyer is in China and has zero feedback. In the first case they wanted the item sent to CA, in the second to NY. I ignored the first request, I didn't see it until after the auction had ended anyway. I responded through eBay to the second request that eBay does not allow communicating through e-mail and that I ship to PayPal addresses only. I have not heard back. Not to be skeptical but I did not get a good feeling from either message so pretty much blew them off. PS: your title and image crack me up! GSA-These re-shippers and the buyers they represent seem to like unique, exotic type items. Since you deal in mostly clothes you've probably haven't attracted their interest. So you've been lucky to avoid them. Thanks for liking the picture-funny right?! I've never sold to one of these before. But I have read about them. I sell so much internationally that I wouldn't want to stop that. But I always make sure to insure anything international just in case. Veronica-I hear ya, it's a risk though. Just had a buyer from Brazil e-mail me to tell me I must, must, ship his item Priority mail parcel, not envelope because in his words it's "dangerous" over there. He was even requesting special shipping numbers, I had no clue what he was talking about. But that was all I needed to hear, since he wasn't suppose to bid anyway because I am domestic only, I backed out of the deal and he agreed. Shipped it domestic to the second place bidder with no problems and no refund worries. Your great stories always help me make a couple of bucks, but in this one I think you saved me some cash! I sold a mug to one of these guys and received the inevitable "not as described" email claiming it was broken. 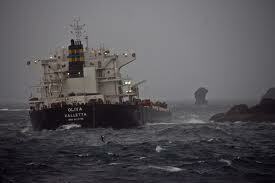 Luckily I insured with ShipSavers and wrote them back with the info. They immediately cancelled the claim saying they wanted to keep the mug and all was good. Today I get a bid from another one of their flt2 names and i remembered your article and my mug. Bid canceled & bidder blocked! Thanks again and keep up the great flips! Elizabeth-Glad I can help! Yup, I just don't trust those guys, I'll take a little less from a domestic buyer then roll the dice with one of those operators. Thanks for writing in and enjoying the blog....Dude! Just mailed out two vintage pink refrigerator dishes to this same guy in california. He paid 19.25 plus 11 something to ship. Can't wait to hear that this was broken and he wants his money back. Thanks for your post. I will beware next time. Denise-Hope your stuff gets there without an incident and you get keep the $19.25....Thanks for writing in....Dude! I am so happy to have found this blog and have learned so much from all of you. I've been selling on eBay for only a few months and so far have had only pleasant transactions. I recently had my first experience with proxy buying service Shop Airlines America, who purchased an expensive collectible book from me at my "buy now" price. The buyer paid my PayPal account immediately. So far, so good. But then I noticed this buyer's extremely high buying volume and received a very strange form letter containing shipping instructions unlike anything I've ever seen. Clearly this buyer was not the type of individual with whom I typically do business. As I was preparing the package for shipment, I decided to google the buyer in the hopes of putting my suspicions at ease. When I read this blog and the comments at eCommerceBytes, I decided to cancel the transaction and refund the buyer's payment. I am just not interested in doing business with a proxy buying service, as the potential for time-consuming hassles is just too great. I also do not accept bids from buyers outside the U.S. for the same reason. Until I read your blog, I had no idea that such buying services existed to easily circumvent domestic-only eBay seller policies. I was even more stunned to learn about eBay's complicity in this scam and their generally poor support of the seller community. Silly me, I had previously assumed that eBay would make it a priority to support its seller community since we are the folks who pay the fees to list and finalize sales on our auctions. The good news is that I immediately opened a case with eBay and within an hour it was closed without incident. Shop Airlines America did not contest my decision to cancel the transaction. Of course, I will be monitoring my statement to ensure that I receive a refund of my eBay fees as promised. And in the future, I will definitely be blocking any eBay username that I suspect may be affiliated with a proxy buying service. Once again, thank you for allowing me to "dodge a bullet" by sharing your stories. I literally was within hours of mailing my package off to the buyer, and I'm glad that I listened to my gut and decided to consult Professor Google, who referred me to this site. llamastalker - Glad this piece helped you. I didn't know these guys existed either until they burned me on the camping lamp. So I am happy I can help other sellers from suffering the same fate. Thanks for liking the blog. (Don't forget to "follow"me) Hope you have lots of excellent eBay flips in the future!